Located between two oceans, Costa Rica has a nice warm and humid weather, ideal for sugar cane culture. Centanario rums take advantage of that climate. Little tropical country located between the Athlantic and Pacific ocean, Costa Rica enjoys a warm and humid climate, great for sugar cane culture. Centenario rums are leaders in Costa Rica, the sugar cane has grown in volcanic soil, a meticulous blending to developp its different properties. 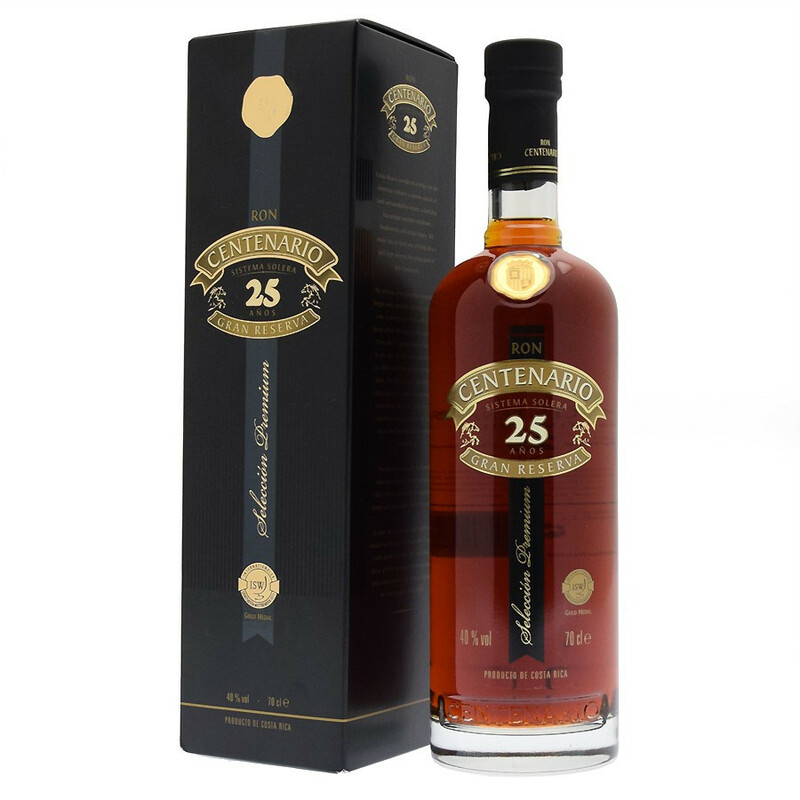 It has aged with the Solera process for 25 years, this premier selection will please good rum amateurs. The solera maturing method consist in mixing rums with different ages and to mature then in barrels in a position of waterfall. Nose: offers a booming of fruity aromas, with woody and vanilla notes. Palate: it attest its smooth flavors, sugary tropical fruit and vanilla.